“The McCarthys” cast members (from left) Jimmy Dunn, Laurie Metcalf, Kelen Coleman, Tyler Ritter, Jack McGee, and Joey McIntyre. The 45-year-old writer-performer would be wise to keep them happy since “The McCarthys” is his first show as creator and executive producer. Like that vacation journal, it mines the stories of his big, working-class, Irish-Catholic family for comedy, this time on purpose. The series is told through the eyes of Ronny McCarthy (Tyler Ritter of “Modern Family” and son of the late John Ritter), whose family of fervent Boston sports fans includes parents Marjorie (Laurie Metcalf, “Roseanne”) and Arthur (Jack McGee, “Rescue Me”), fraternal twins Gerard (Joey McIntyre of New Kids on the Block) and Sean (veteran Boston comic Jimmy Dunn), and younger sister Jackie (Kelen Coleman, “The Newsroom”). Like Gallivan, Ronny is gay, and while his sexuality is one wellspring of the show’s comedy, it isn’t the source of friction with his family — it’s that he doesn’t like sports. Gallivan, in an interview in Los Angeles, says he imagines the McCarthys living someplace like Hyde Park, where his father, Charlie, coached basketball for more than 30 years. All five of his siblings played basketball and many now coach at schools around Greater Boston, where all but Paul are teachers. 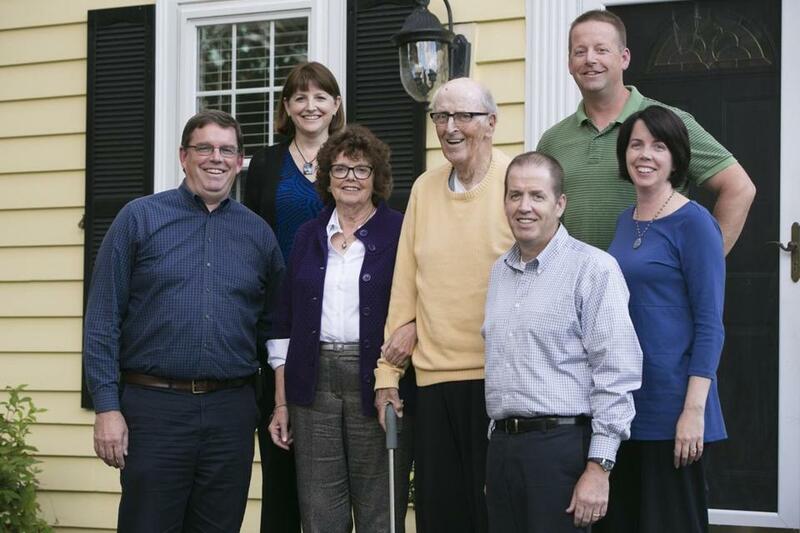 Brian Gallivan’s family members (from left) Paul, Maryann, Maureen, Charlie, John, Jimmy, and Tricia. Gallivan was also excelling as captain of the Dedham High School track team, a fact that his family says the self-deprecating Brian fails to tell people. “I was running from my sexuality,” he deadpans. That series — starring Gallivan in the title role, dispensing advice to famous literary characters, from Cyrano de Bergerac to Romeo and Juliet — and a spec script brought him to the attention of the producers of the short-lived NBC sitcom “Are You There, Chelsea?,” which led to work on ABC’s “Happy Endings.” On the day that the latter series came to its not so cheerful conclusion, canceled after three seasons, “The McCarthys” was picked up by CBS. There are no direct parallels to Gallivan’s own siblings on “The McCarthys,” and there are fewer of them. “There’s bits of everybody scattered about so they can’t sue me,” he says. The series picks up two years after Ronny has come out and the family has more or less acclimated to that aspect of his life — although his actual family members would never utter some of the un-PC lines on the show — but they still struggle with his lack of sports enthusiasm. It’s clear that humor runs in the Gallivan family. When discussing Brian’s own coming out, this exchange happens in quick succession: “What?” says Jimmy, feigning surprise. “Spoiler alert!” quips John. “So that’s why he didn’t want us to see it!” says Tricia, finishing off the joke. Although the show began life as a single-camera comedy over a year ago, what will air on Thursday is a revamped multi-camera version, like the successful CBS shows “Two and a Half Men” and “The Big Bang Theory,” both of which will precede “The McCarthys” premiere. Having the live audience that the multi-camera format provides was key, as was, apparently, having McIntyre’s fans in some of those seats. 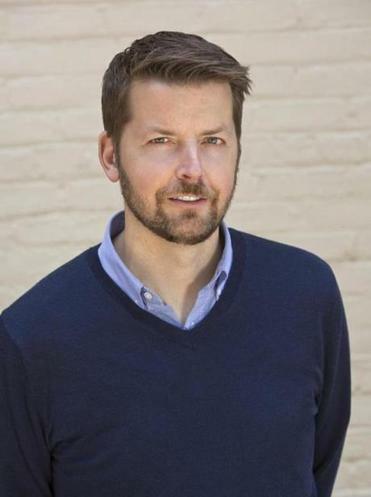 “I think I was like ‘Oh we’ll see,’ ” says Gallivan of the format change. “I’m a Boston pessimist, so I thought well, we’ll [mess] it up somehow. So I was kind of shocked on tape night sitting with Mike Sikowitz, the showrunner, and thinking, ‘This is going well!’ A lot of it, I’ve got to give credit to Joey because I’d say a third of it was New Kids on the Block fans, and they brought an energy. - Which new Fall TV shows make the grade?